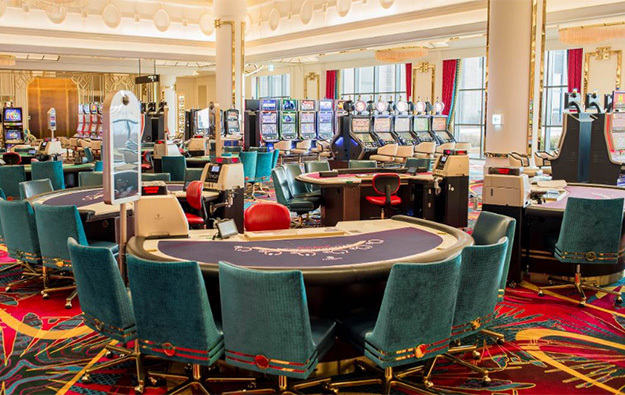 Casino revenue at South Korea’s foreigner-only casino operator Paradise Co Ltd declined by 8.6 percent in full 2017 compared to the previous year. Such revenue was approximately KRW551.86 billion (US$517.3 million), compared to about KRW603.75 billion in 2016, according to a monthly update filed by the company with the Korea Exchange. Full-year 2017 table revenue went down by 9.2 percent year-on-year to nearly KRW515.42 billion, from approximately KRW567.81 billion a year earlier. Paradise Co’s machine revenue however increased by 1.4 percent in 2017, to KRW36.45 billion, from KRW35.94 billion in the previous year. No commentary on the reasons for year-on-year revenue fluctuations is given in the company’s monthly updates. Table drop – the amount of cash exchanged for chips by customers at the table – for full-year 2017 rose 5.0 percent year-on-year, to about KRW5.08 trillion. For December 2017, Paradise Co’s aggregate casino revenue was up 16.7 percent from the prior-year period, to approximately KRW51.80 billion. Table revenue for the last month of 2017 rose by 19.8 percent year-on-year, to nearly KRW49.21 billion. Machine revenue for the period was down 21.3 percent from December 2016, to KRW2.59 billion. Paradise Co’s latest casino figures are based on the results of four venues it operates in its casino business division. They are: Walkerhill in Seoul; Jeju Grand on Jeju Island; Busan Casino in the southern port city of Busan; and Paradise City (pictured), in Incheon, near the main international airport serving the country’s capital Seoul. Investment analysts covering the gaming sector say results of foreigner-only casinos in South Korea have suffered from a reported ban by Chinese authorities on tour groups going to the country. Chinese gamblers are reportedly an important customer segment for foreigner-only casinos in South Korea. It was reported that the ban was partially lifted at the end of November 2017, but in the following month there were new media reports stating the ban was back in place. Despite a slump in the number of mainland Chinese visitors to South Korea after the ban was initiated, Paradise Co still reported a 5.3 percent year-on-year growth in casino sales in the third quarter of 2017. The firm said casino sales were up due to “recovery in Chinese VIP [play] and solid growth from Japanese VIP [play]”.